The Couture Award uses a combination of blue/red, clear and black crystal. The prestigious Nik Meller Collection uses only the highest quality optic crystal. 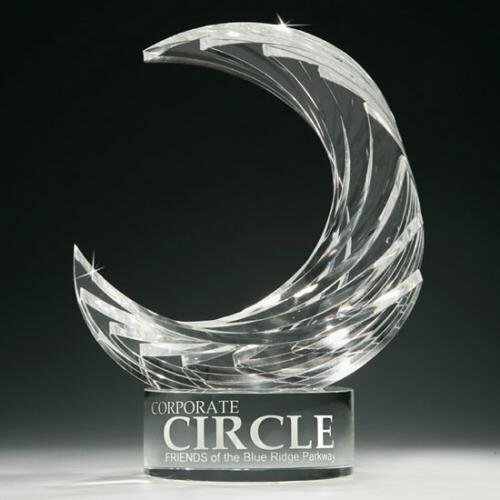 These crystal awards, artistically inspired & designed by Nik Meller, are hand crafted works of art made by the finest crystal craftsmen. Each piece is etched w/the designer's signature to ensure design authenticity. The piece consist of a black crystal with clear design in the right side with either a cobalt blue or red crystal over the clear piece. Available in two colors. 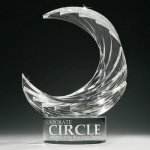 The Covet Award uses a combination of blue, clear and red crystal. The prestigious Nik Meller Collection uses only the highest quality optic crystal. These crystal awards, artistically inspired & designed by Nik Meller, are hand crafted works of art made by the finest crystal craftsmen. Each piece is etched w/the designer's signature to ensure design authenticity. The piece consist of a crystal block over blue, clear and red crystal wedges.